My name is Candy and I make candies. What kind of candies? Chocolate bars fill with unique combinations of crunchy, chewy, fluffy, and gooey ingredients. 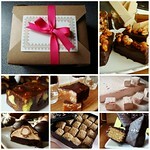 Soft caramels range from dark and smoky to light and milky with all kinds of flavour surprises. The most ethereal marshmallows made with fresh fruit. I think there should be more sweetness in this world and every treat should be special. You can check out my current collection of candies in the Products section. Better yet, come visit at one of my upcoming markets to see for yourself! If you have any questions, feel free to drop me a note at Facebook, Twitter, or email. 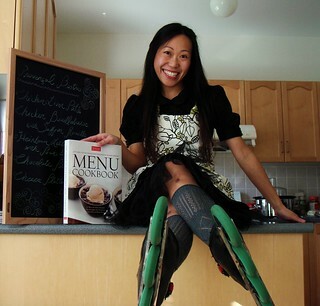 You can also find out more about my baking and cooking adventure at Dessert By Candy.